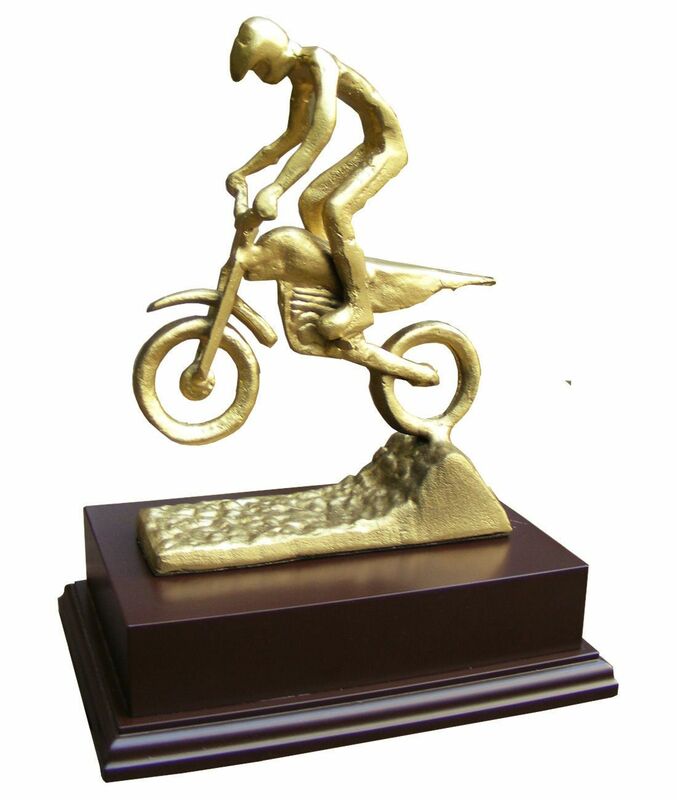 This unique trophy is part of an exclusive collection of awards that are handmade and available to purchase only through County Engraving, not only are they unique they are eye catching and offer an exceptional level of workmanship. 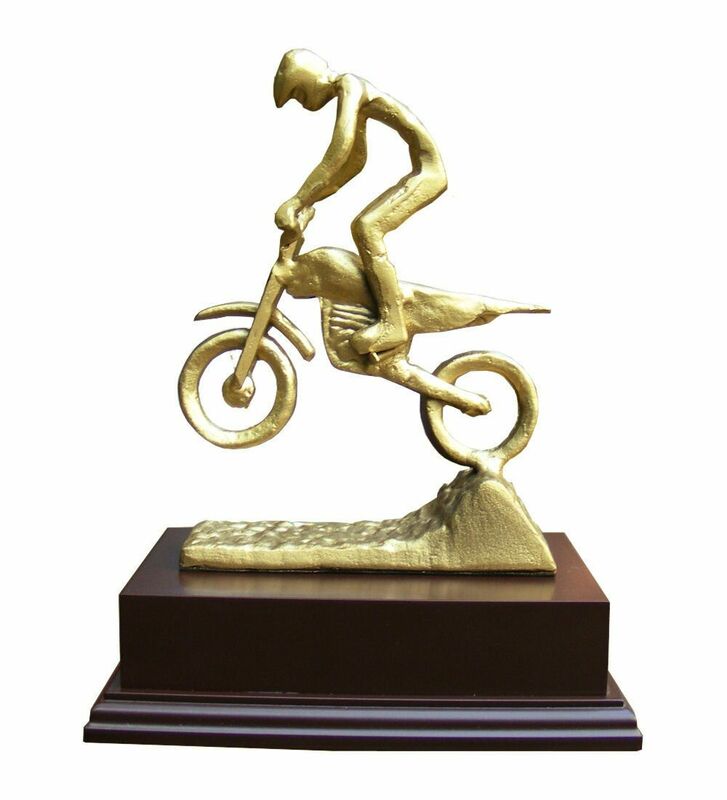 Mounted on a thick, polished, mahogany effect base this modern trophy features a rally biker made from cast steel and its available in either a metallic Gold or Metallic Silver finish. 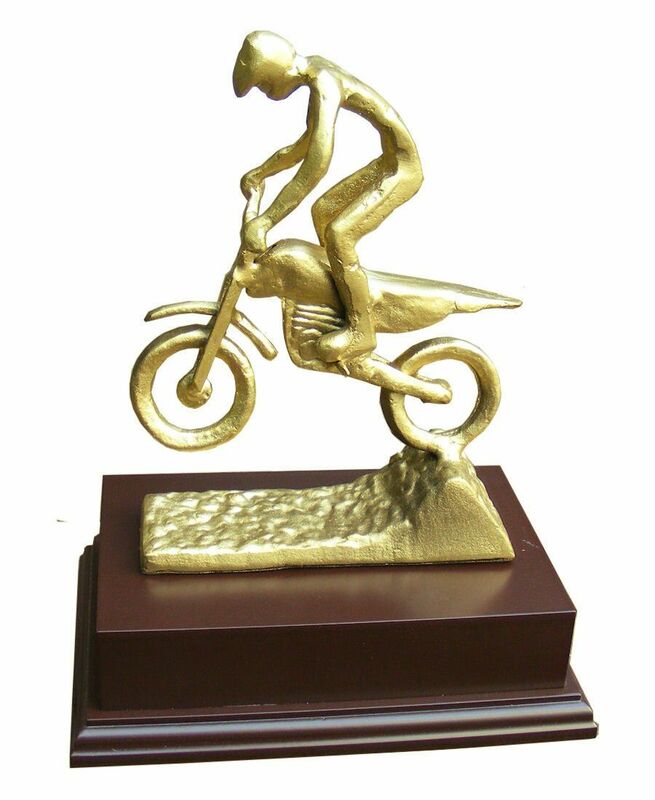 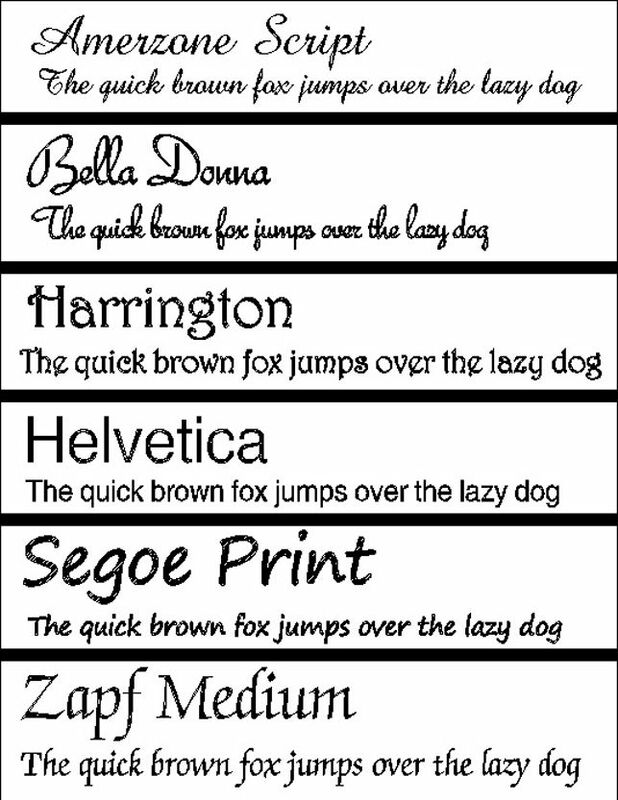 Engraving is done on a gold plaque which is attached to the wooden base.